We are all very familiar with the traditional story of Brother Grimm’s “Cinderella” as well as Disney’s animated version of it about the beautiful poor girl who gets mistreated and becomes a slave of her evil stepmother and stepsisters but at the end marries a beautiful prince. What makes the non-animated version of this so familiar story different? 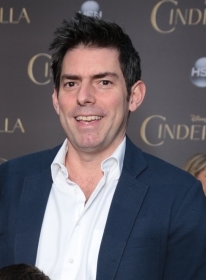 Lawndale News talked to the film’s screenwriter Chris Weitz who shared what he did differently this time. He told us he based the script more on the French, romance version rather than the Grimm’s. He wanted to emphasize on the courage and decency of Cinderella to inspire young girls all over the world to be brave and kind. His version of Cinderella is not only inspiring but beautifully written, mastered to perfection. 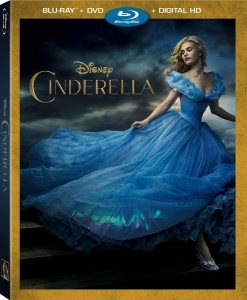 Cinderella is played by Lily James (Ellla), a pretty young woman who ends up living with her new stepmother (Cate Blanchett) and stepsisters (Holliday Grainger, Sophie McShera) who use her to satisfy their needs as a maid after the passing of Ella’s father. What keeps Ella going are her mother’s words to be kind and have courage. But in the midst of her pain, one day Ella runs away and while riding in the woods she happens upon a stranger – the Prince “Kid” (Richard Madden). As they both fall in love with each other, the grand ball becomes the place where they shall meet again. As in all good fairy tales, a kindly beggar woman (Helena Bonham Carter) steps forward and, armed with a pumpkin and a few mice, changes Cinderella’s life forever. “I am very happy with the final product of “Cinderella.” It is better than the script I wrote. The film is magnificent,” said Weitz. While this version of “Cinderella” is magnificent it is also very modern. Any girl whether young or old can relate to the story and take something magical away from it. Weitz has turned the traditional story into a modern lesson of bravery, beauty and love. Weitz has worked on movies such as “New Moon,” based on the second novel in the best-selling Twilight series, and did his first directorial collaboration with his brother Paul on the franchise “American Pie.” He did the screenwork for “About a Boy,” “Antz,” “Madeline,” and also produced the movie “In Good Company.” Most recently Weitz directed “A Better Life,”a poignant, multi-generational story about a father’s love and everything a parent will sacrifice to build a better life for his child. He has also published his first novel for young readers, “The Young World,” which is the first book in a planned trilogy. The advice he wants to give to young screenwriters is this: “Reach your audience. Get your film seen. You have to learn how to be responsible to that audience.” “Cinderella” was released on blu-ray combo pack, digital HD and Disney Movies everywhere on this week. © 1168 Chicago Hispanic Newspaper, Lawndale News, Hispanic Bilingual Newspapers, Su Noticiero Bilingue. All rights reserved. XHTML / CSS Valid.